Linseed Oil (flaxseed oil) is a good source of Omega-3 fatty acids, derived from cold pressed linseeds. Omega-3 fatty acids are essential for many biochemical functions within the body. Linseeds are also a source of phyto-oestrogens. 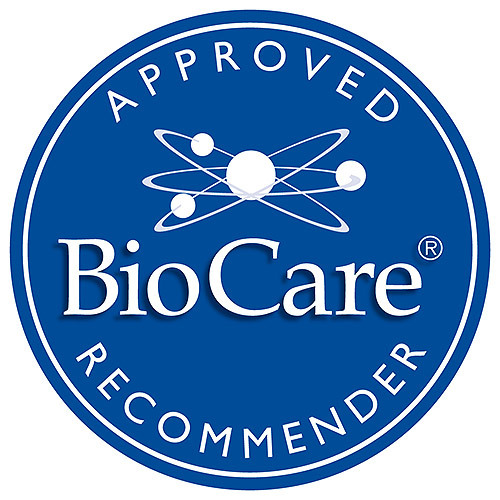 Linseed oil is one of the richest, natural sources of Omega-3 fatty acids and contains approximately twice as much Omega-3 fatty acids per gram of weight as fish oil. Contains vitamin E to maintain stability. Linseed Oil, Capsule Shell (Potato Starch, Sorbitol, Maltitol, Glycerol, Emulsifier (Glyceryol Monostearate)), Vitamin E (As DL-Alpha Tocopheryl Acetate). Three vegicaps taken daily with food, or as professionally directed. 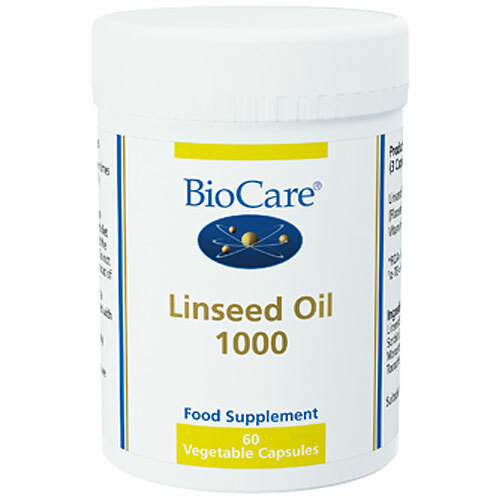 Below are reviews of Linseed Oil 1000 - 60 x 1050mg Vegicaps by bodykind customers. If you have tried this product we'd love to hear what you think so please leave a review. 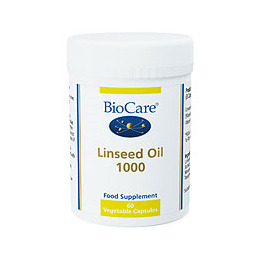 Linseed Oil, also known as flaxseed oil, is a good source of Omega-3, derived from cold pressed linseeds. Omega-3 fatty acids are essential for many biochemical functions within the body. Linseeds are also a source of phyto-oestrogens.